"I'm convinced that the next president of Kazakhstan will wield lesser power. As a matter of fact, the current head of state may make this decision with regard to whoever will come to replace him. The very logic of the authoritarian regime prompts him to try and remain the one and only in the history of Kazakhstan," Jamarhan Tujakbai said. Ex-chairman of the parliament and former candidate for president, Tujakbai is leader of the National Social-Democratic Party. Ferghana.Ru: How would you define electorate of the National Social Democratic Party? Jamarhan Tujakbai: Looking for its own electorate, our party stepped off the trodden paths. Everything began the year before last when democratic opposition of Kazakhstan consolidated on the eve of the presidential election in 2005 and established the Movement For Fair Kazakhstan. The authorities had done so thorough a job in numerous mop-up operations on the Kazakh political terrain over the years that we had to begin from scratch. Work on ideology was particularly taxing. We needed the sort of ideas that could consolidate essentially different political forces within the framework of the movement. It is quite logical therefore that we ended up with the ideas and values capable of uniting all socially active and conscious Kazakhs. I'm talking of a democracy, public-controlled state power, transparent and socially oriented economy, and a socially accountable state. It does not take a genius to see that there is one key notion underneath - fairness or justice. That's precisely what we lack in Kazakhstan nowadays. Total injustice is all-permeating. Not even oil export dividends offer a remedy. On the contrary, they only emphasize the social and economic destitution ordinary Kazakhs are painfully aware of. It dawned on us right in the midst of the presidential campaign that the values we were promoting were essentially social democratic. That was why and how we established the National Social Democratic Party of Kazakhstan last year. All of that entitles us to maintain that our electorate is broader than one might think. On the one hand, it consists of the typical social democratic electorate i.e. middle class or productive forces. At the same time, however, it includes all citizens of Kazakhstan who subscribe to our party's slogan (Fairness, Freedom, Fusion). Ferghana.Ru: It did not take the National Social Democratic Party long to obtain official registration. For an opposition party, I mean. How come? The opposition is not exactly in favor with the authorities in Kazakhstan. Jamarhan Tujakbai: I wouldn't call the process of registration smooth and unproblematic, you know. It's just that the authorities were less forward and headstrong for a change. It figures. The presidential election was history already, there was no rush. There were attempts to interfere with us at the very beginning. When we did produce 150,000 membership applications (triple the number required by the acting legislation), the regime saw that scope of the support we were getting. It decided to stop playing with fire and changed its tactic. The party itself was registered in late January or two months later than the legislation allows for. The last regional organization of the party was registered literally the other day. I do not doubt in the meantime that the authorities have a whole arsenals of means and ways of interfering with our practical work. Consider the recent voting at the Alma-Ata maslihat or council. When the maslihat was through with us, our party's representation in municipal electoral commissions was down to 0.5%. It confirms my thesis, I believe. Ferghana.Ru: The National Social Democratic Party and other opposition parties issued a protest against this discrimination so far as I know. What reaction do you expect from the authorities? Jamarhan Tujakbai: I do not really expect that the regime will confess all numerous violations of the electoral legislation we've enumerated in the protest, much less that it will order Alma-Ata lawmakers to vote again. Anyway, we decided that we had to point it out to general public. Voting in Alma-Ata launched a whole series of elections of electoral commissions throughout the republic. Five months from now these electoral commissions will count bulletins in maslihat elections which in their turn will form electoral commissions for the next electoral cycle that is going to be strategically important for all of us. I mean the parliamentary election that may take place before 2009 and the ensuing presidential campaign. In other words, the regime is tampering with electoral commissions nowadays and that may turn out to be a delayed-action mine planted under all of the system of elections in Kazakhstan. A system, if I may add, whose integrity is already questioned by society. Ferghana.Ru: What do you expect from the political leadership of Kazakhstan by way of the promised political reforms without which this country cannot hope to become the OSCE chairman in 2009? Jamarhan Tujakbai: The illusions I once entertained were quickly dispelled. I suspect that President Nursultan Nazarbayev will only launch the political reforms that will pose absolutely no threat to the authoritarian regime he installed in Kazakhstan. Let us consider the key problem of expansion of parliamentary powers. The president's dramatic statements are essentially restricted to his consent to permit factions of the parliament to come up with legislative initiatives and to discuss candidates for prime minister and Cabinet members with leaders of these faction. Sounds all right, does not it? Sounds really find and sophisticated. Ninety percent of the parliament in the meantime are members of the president's Nur-Otan party. Things being what they are, it is not exactly a bona fide separation of branches of the government, much less an even and well-balanced separation. We are dealing with a bunch of tame oligarchs in the parliament who obey the regime and do not have anything to do with the people they are supposed to be representing. I do not rule out the possibility that ruses like that may be working and actually impressing some Western observers, people who do not know anything about the actual state of affairs in Kazakhstan or who are on the Kazakh authorities' payroll. By the way, the president is absolutely inflexible in the matters of electoral legislation or, for instance, independence of the media. Nazarbayev knows what he is doing. Unlike the meek parliament, these are the spheres that may get out of control. Ferghana.Ru: Do you support the multiple-vector nature of the Nazarbayev's foreign policy? Jamarhan Tujakbai: The world is so complicated nowadays that the ability to promote a multiple-vector foreign policy with all nuances and factors taken into adequate consideration is truly a blessing for any country. As long as this policy promotes bona fide strategic interests of the people, of course. As for Kazakhstan, I'd say that this is a surrogate multiplicity of vectors because the foreign policy, all international contacts and obligations of the Kazakh leadership promote the interests of the regime itself. Whatever is undertaken is only being done to secure as comfortable conditions for the regime and its representatives as possible. Foreign policy like that cannot be consistent, predictable, or stable. I'd even say that foreign partners of Kazakhstan begin to notice it. Ferghana.Ru: What do you think of the suggestions to make Nazarbayev president for life or even to institute monarchy in Kazakhstan? Jamarhan Tujakbai: What these suggestions come down to and the way they are put forth reflect growing confusion in the higher echelons of power. Nazarbayev's inner circle already made unbelievably vast fortunes during his reign and these people cannot help recalling every now and then that their benefactor is mortal. Many of them understand how vicious the power struggle will be. They are scared. The existing state of affairs suits them perfectly and they would dearly like to extend it. Hence all these proposals. If you ask me, this absurdity demonstrates the colossal insecurity typical of every authoritarian regime, every non-democratic system. Ferghana.Ru: Do you think it is possible that the state power in Kazakhstan will be passed down in the family - to a daughter or a son-in-law? Jamarhan Tujakbai: The president knows all too well that in the system he installed in Kazakhstan there is only one person he can trust. Nazarbayev himself is this person. On the other hand, what you are assuming is possible too. The only difference is, it is not going to be an undisguised succession like in monarchies. At least I hope so. In any case, the successor handpicked by the president himself will have everything at his or her disposal - all administrative resources and unlimited finances. In short, political technologies will be applied to ensure a smooth succession. As a matter of fact, personalities do not matter. I'm convinced that the next president of Kazakhstan will wield lesser power. As a matter of fact, the current head of state may make this decision with regard to whoever will come to replace him. The very logic of the authoritarian regime prompts him to try and remain the one and only in the history of Kazakhstan. 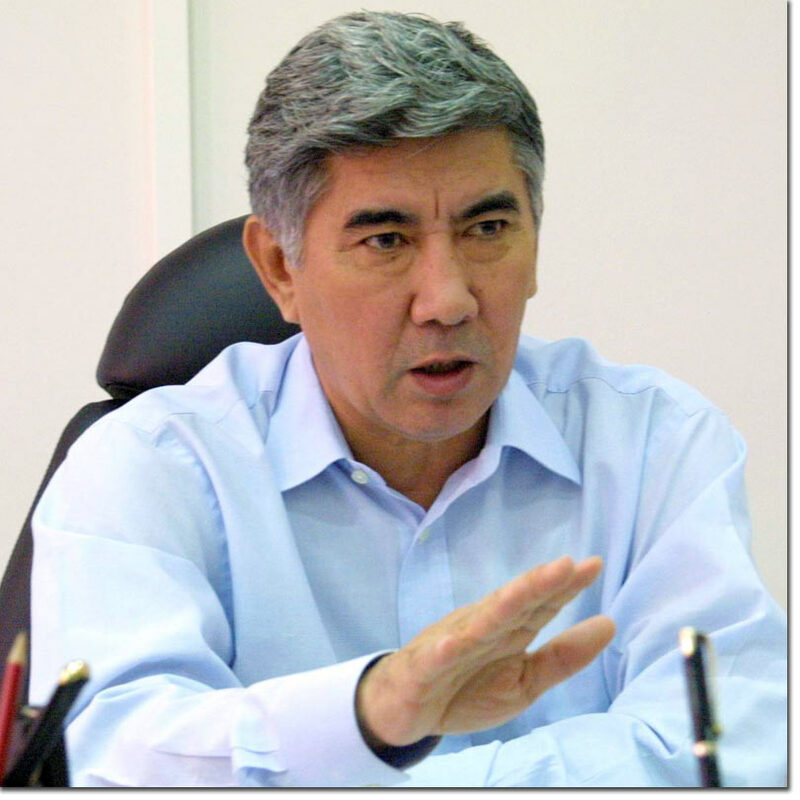 Ferghana.Ru: Is there an actual danger of deterioration of ethnic tension in Kazakhstan? Jamarhan Tujakbai: I do not think that any such danger exists at this point. Unfortunately, the policy the authorities are promoting may actually generate this danger. If it does, this danger will have a purely social background. Let us face up to the facts. The Kazakhs have always constituted a majority in rural areas. It makes them particularly vulnerable and helpless in the face of all and any social experiments. The inconsiderate free-market reforms hurt Kazakhs in rural areas worse than they did anyone else. These people were deprived of the opportunity to work their own land or to get normal education and medical assistance. Social and sometimes even communal infrastructure became history. Environmental pollution became a problem. Awareness in these people of how neglected and downtrodden they are is augmented by corruption and lawlessness, by the atmosphere of permissiveness civil servants have created for themselves and for their wealthy pals. When people see how bona fide palaces are built almost overnight within sight of their own appalling impoverishment, is it not a a spark that may ignite the fuse? Hence the incident in Malovodnoye. Hence other events on a larger scale - like riots in Shanyrak and Bakai (Alma-Ata outskirts) last year where people rebelled when the authorities ordered their houses torn down. Social deprivation is what caused recent protests from Tengiz oil field workers. The National Social Democratic Party keeps insisting on a dramatic improvement of the social policy in Kazakhstan to put an end to episodes like that. Ferghana.Ru: But why would the authorities pretend that what happened in Malovodnoye was but an isolated episode? Jamarhan Tujakbai: They found themselves cornered, that's why. On the one hand, recognition of ethnic hatred in a multinational state is always potentially dangerous. On the other, by admitting that what happened had been caused by social problems the regime would have admitted inadequacy and absolute failure of its social policy in general. That is why the authorities came up with what they decided was a smart solution and announced that the episode in Malovodnoye had been purely criminal. There were some criminal undertones in what happened there so far as I know but saying that it was just a criminal showdown or something like that will be certainly wrong. 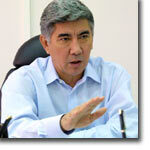 Ferghana.Ru: Will Zamanbek Nurkadilov's and Altynbek Sarsenbayev's assassins ever be found? Jamarhan Tujakbai: These assassinations will remain an open sore for a long time yet. They constitute one of the darkest secrets of the ruling regime. Too many names were associated with the assassinations, too many hypotheses - potentially valid and sound - were suggested by independent media outlets and through grapevine. I'm too hardened a realist to expect the truth while we have this regime in Kazakhstan. All the same, the democratic opposition aspire for the truth and justice and for eradication of political intolerance. What else did we make our choice for?